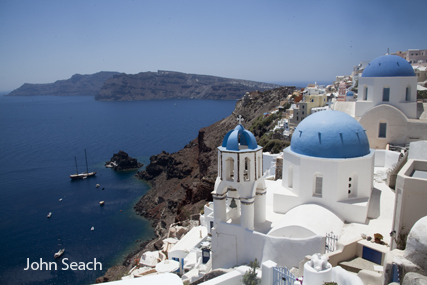 Santorini erupted in 1600 BC and buried the city of Akrotiri and possibly gave rise to the legend of Atlantis. 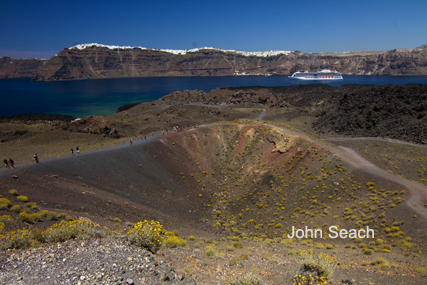 Three islands remained after the eruption - Thera, Therasia, and Aspronisi. 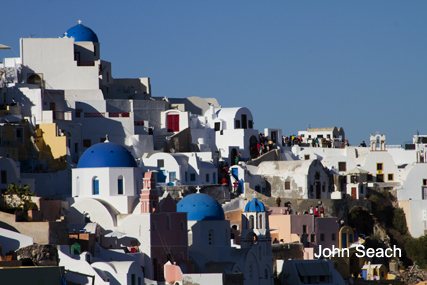 Santorini caldera has a diameter 11 km N-S and 7.5 km E-W, with a depth of 390 m in the north. 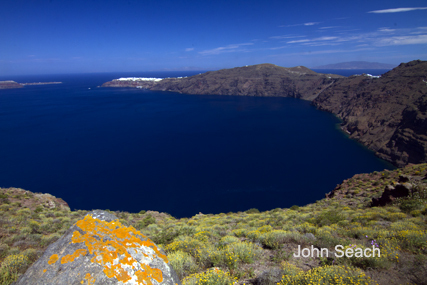 The 1950 eruption of Santorini produced a lava dome, lava flow, and explosive activity. 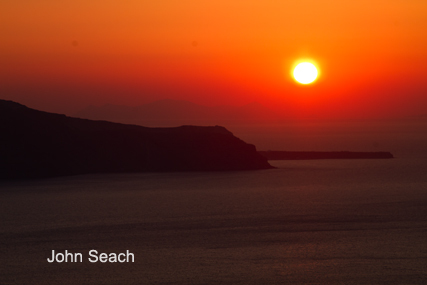 Nea Kameni, Santorini volcano, Greece. 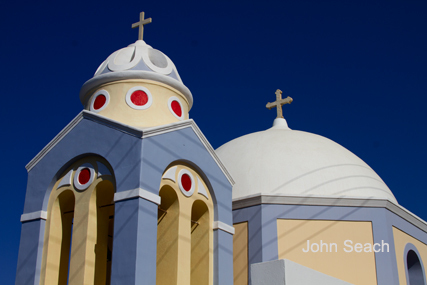 In January 2011 Santorini started to wake from 60 years of inactivity. The episode began with a seismic swarm and radial deformation of the volcano. The unreast has been interpreted as radial inflation of the volcano by 5-9 cm by a magma source, 4 km below the northern half of the caldera. 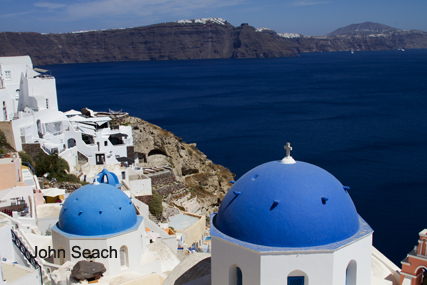 About 1650 BC a series of Plinian eruptions at Santorini volcano expelled 40-60 cubic km of lava, and created a regional tsunami. 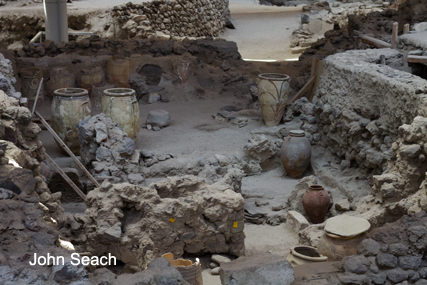 This eruption was possibly the main factor in the destruction of the Minoan civilisation.